Patricia MacLachlan, Newbery Medal-winning author of Sarah, Plain and Tall, is celebrated for making emotions accessible to children through her gentle writing style. She brings this gift, as well as her talent for writing about families, to the chapter book The Truth of Me. 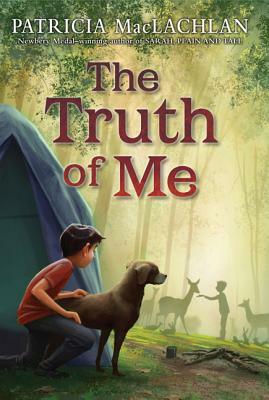 The Truth of Me tells the story of Robbie, who loves spending time with his grandmother Maddy. Robbie loves the stories Maddy tells, and also how wild animals trust her enough to come right up to her. But Robbie has always felt as if something is missing in his life--his parents don't always act like they love him. Maddy helps him understand that an experience his mother had long ago is at the heart of the problem in his family. With this knowledge, Robbie finds the courage to try to make things right. This poignant story celebrates how our unique “small truths” make each of us magical and brave in our own ways.